As an escalating demand for reliable PM consulting services and professionals increases, effective PM training should be centred on unquestionably high quality training standards in order to achieve any organization’s objectives. In addition to cost-effectiveness, PM training should also be tailored to produce practitioners who can cope with challenges in an innovative and unprecedented manner. Project Management Training Institute (PMTI) is one of the world’s most accomplished PM training and consulting institutes that is facilitating outstanding PM training to produce exemplary PM experts as competent practitioners and reliable consultants in the world. Project Management Training Institute (PMTI) is a well-recognized, reputable and competent training and consulting company. As a PMI® Registered Education Provider, PMTI is aimed at providing high quality, affordable and reliable Project Management training and consultation to individuals and organizations worldwide. In addition to being an equal opportunity employer, PMTI also strongly upholds ideological, technological and cultural diversity within the company as well as in markets within their scope of influence. On the other hand, PMTI has an exemplary commitment to its students through an exclusive training and examination programme. For instance, PMTI offers in class exam simulations, assessment for PMP® Exam eligibility and free customized tutoring for re-examinees. Similarly, the institute has an outstanding success rate that is largely attributed to course instructors who are widely experienced, dedicated and high qualified professionals..
PMTI offers an exclusive PMP® Exam Prep Certification courses through boot camps. This includes a 4 Day PMP® Certification Boot Camp course, 3 Day CAPM® Boot Camp course and an eLearning PMP® Exam Prep Course. For corporate organizations, PMTI also facilitates for Corporate/Group Training. PMTI’s 4-Day PMP® Certification Boot Camp – The 4 Day PMP® Certification Boot Camp targets project managers and practitioners in need of PMP® Certification. With an impressive 95% success rate, this PMP® exam prep course is tutored in 40Professional Development Units (PDUs)/contact hours by experienced instructors with over a decade of industrial experience or with master’s degrees coupled with prior PMP® training. Similarly, PMTI also offers a free and non-compulsory online course to aid in qualification for PMP® certification exams. However these PMP® training boot camp classes are offered in USA, India, Canada, Singapore, as well as in Dubai and the Middle East. A money back guarantee is also offered for the USA and Canada classes to students who fail to pass their PMP® exams. PMTI 3 Day CAPM® Boot Camp – Similar to the 4 Day PMP® Certification Boot Camp course, PMTI also offers a 3 day PMI® approved CAPM® Exam Prep Course. This exceptional course takes place in 23 PDUs/contact hours and has a remarkable 95% success rate as well as an exclusive money back guarantee. Students are also provided with ample resources such as stationery, numerous CAPM® exam type prep questions, and informative guide books such as the 4th edition PMBOK® Guide and PMTI-CAPM® Prep Student Bluebook among others. 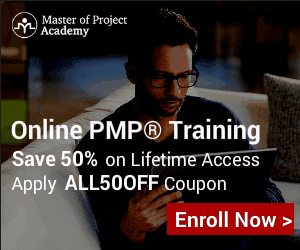 eLearning PMP® Exam Prep Course – Among the eLearning courses tailored as long term study plans for trainees aspiring to be PMP® certified practitioners include an On-demand PMP® exam prep II and Instructor lead LIVE e-Learning PMP® exam prep courses. With a 100% pass rate on first attempt, these courses are ideal for intermediate and upper PM practitioners who are consistently advancing their knowledge and expertise on various aspects of Project Management. As a key and crucial aspect in Enterprise Project Management (EPM), PMTI offers MS-Project Server 2003 based courses for Company Executives, Administrators as well as Project and Human Resource managers. This includes 4-Day MS-Project Server 2003 Boot CampCourse. (32 PDUs), 2-Day MS Project Server Course for Executives. (16 PDUs), 2-Day MS-Project Server Course for Administrators. (16 PDUs), 2-Day MS-Project Server Course for PM and HRMs. (16 PDUs). 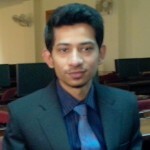 PMTI also avails Corporate/Group Training for MS Project Server 2003 Courses. In addition to the aforementioned courses, PMTI also offers eLearning-based Professional Development Unit (PDU) Courses geared to advance the performance and leadership skills of Project and Programme Managers in senior PM positions. This courses include 24 based PDU courses such as PMTI- Project Risk Management Course, Critical Chain Project Management Course, Six Sigma Green Belt Course and the Advanced Earned value Management (EVM) & Earned Schedule Course. Similarly, other online PDU courses such as the OPM3 Executive Overview Course and PMTI-MS Project Course that consist of 8 and 16 PDUs respectively. Interestingly, in PMTI, project management practitioners can earn up to 15 PDUs in three years. PMTI is a commendable training and consulting firm from which you can contentedly earn professional and exceptional credentials that distinguish you as a certified and exemplary PMP® expert. From outstanding and award-winning instructors who are frequent consultants at BMW, Intel, USAID, Xerox, BP and other reputable companies to extensively equipped classrooms, you can count on PMTI to efficiently offer the best PMP ®certification to shape up your PM career and organization. PMTI has an active social network presence through Facebook and LinkedIn.